We provide information and education on affordable housing programs, rental assistance programs, Community Homebuyer Programs, and other affordable housing programs specifically geared toward low and moderate-income individuals and families. To learn more, attend our affordable housing options workshops. If you are out of the area, contact the Mayor’s Office of Housing for the city where you live and/or the Housing Authority for information about local affordable loan programs. Through free seminars and individual counseling sessions, we assist with spending plan development, selecting the right home, finding a favorable home loan, and closing the transaction. 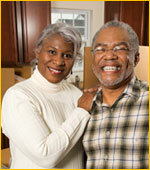 We help you develop an action plan for homeownership. Credit history and credit report information is also covered. Attendance at our Home Buyer Education Workshops may enable you to qualify for affordable housing programs in your community. To begin, come to one of our pre-purchase workshops. If you are out of the area, please check the real estate section or the HUD Housing Counseling Clearinghouse at 800-569-4287 of your local newspaper for HUD-sponsored workshops. We also provide individual housing counseling; call 800-777-7526 to schedule an appointment. Are you delinquent with your mortgage payment, or feel you soon will be? 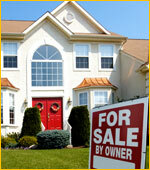 We offer guidance on how to approach your lender to avoid foreclosure. 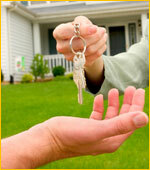 We may also serve as a liaison between you and your lender, and recommend alternatives to the foreclosure process. Whether it’s prioritizing expenses, refinancing, modifying a loan, or proposing a forbearance agreement, we provide the information you need to make the right decisions. Please call 800-777-7526 to schedule a financial counseling session and learn all of your available options. Your counselor will thoroughly analyze your entire financial picture, and make recommendations based on your individual needs. Our reverse mortgage counseling helps seniors understand how they can use their home equity to supplement their income without having to sell the home or make monthly payments. We provide information on how a senior may secure a credit line for home repairs or other needs, or use the equity as monthly income – for life or for a fixed term. 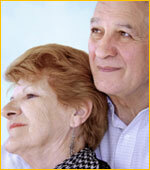 Please call 800-777-7526 to schedule a Reverse Mortgage Counseling session. We can help you understand the factors that affect your ability to meet your housing needs – and offer individualized guidance to help you succeed. Suggestions may include developing a family budget, implementing a debt reduction plan to pay unsecured debts, and executing proven saving techniques. Please call 800-777-7526 to schedule an appointment. Your counselor will examine your financial situation in its entirety and provide a plan of action you can take to make significant and constructive changes.